Well, it was only a matter of time before my photography would be put on the back burner yet again. This time with a very good cause – London 2012. I know by the time I write this post, the Olympics will be long forgotten and our lives more or less back to normal, but for me as a volunteer at the games, this will be one memory that I won’t forget in a long time. I was privileged amongst thousands of people who applied to be accepted as a Volunteer Cast for the London 2012 Olympic games. I, with many others had two roles – to be a drummer and to marshal. The drumming only happened during the Opening Ceremony (OC) and to be a marshal happened at both OC & CC (Closing Ceremony). I think this article in the local (where I live) paper sums up my our experience as volunteers at the Olympics. 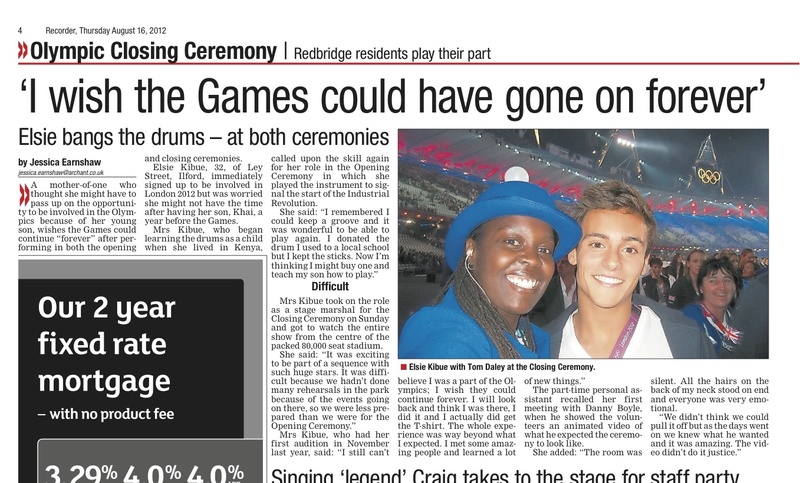 Local newspaper article on my experience at the London 2012 Olympics ceremonies. After the wonderful experience, my body, long suffering family and photography mojo decided that I should end my Olympic journey and not continue on to do the Paralympics. Now that you all know where I have been for the last few months……..
……let us get this show back on the road. ION – Applied to Uni and I got accepted. So God willing, you will see more updates and content up in here.